On Baseball & The Reds: Did Burke Badenhop Find His Velocity? 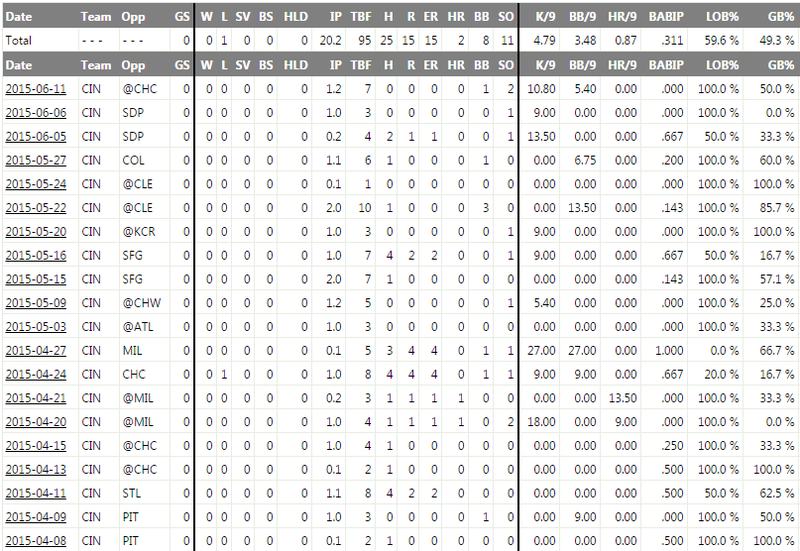 Burke Badenhop was the Reds lone free agent signing this past offseason who received a guaranteed big league deal. I heralded it as a superb signing: a highly effective, ground-ball machine for the bullpen with a very low salary. Instead, he's been a disaster. His velocity was way down at the start of the season (~87 mph on his fastball, vs. ~89-90 mph in 2013-2014), his already-low strikeout rate plummeted, and it seemed his lack of velocity also reduced the effectiveness of his sinker. 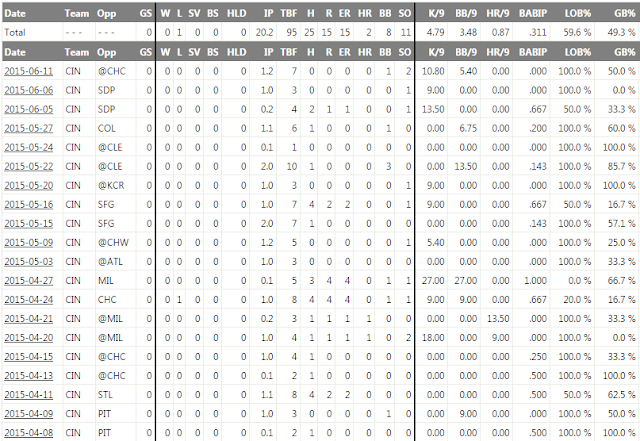 While watching last night's game, however, I noticed him regularly hitting 90-91 mph, he managed a pair of strikeouts on fastballs up in the zone, and worked around an error by Brayan Pena on a squibber in front of the plate. It's too early to know if he's really back. 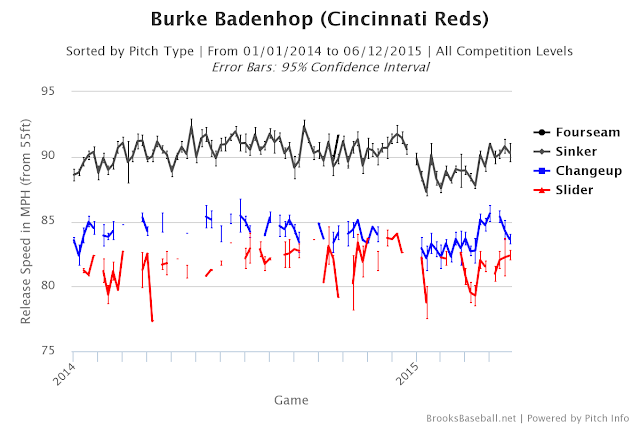 But if Burke Badenhop can return to his 2014 form, it would be a nice shot in the arm for the Reds' bullpen.